So on a lark, I decided to wear my high school class ring today. I haven't worn it... or looked at it in over 4 years. Nam thought I was silly... and told me he never got one because they were so expensive. I mentioned it to Julie, and she said she didn't get one either. 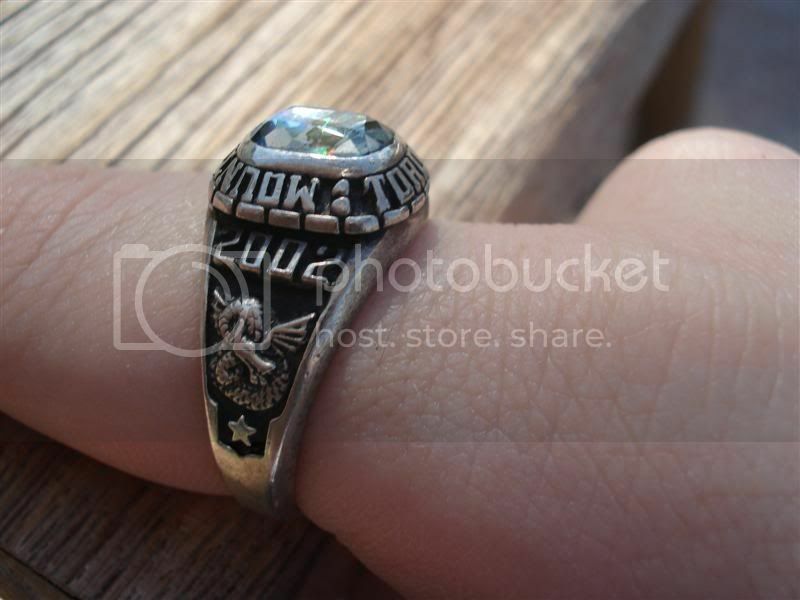 Which leaves me wondering... am I the only weirdo who actually GOT a high school ring? I mean, I didn't like high school... but custom jewelry? I'm there! Did you get a class ring in high school? Do you still have it? 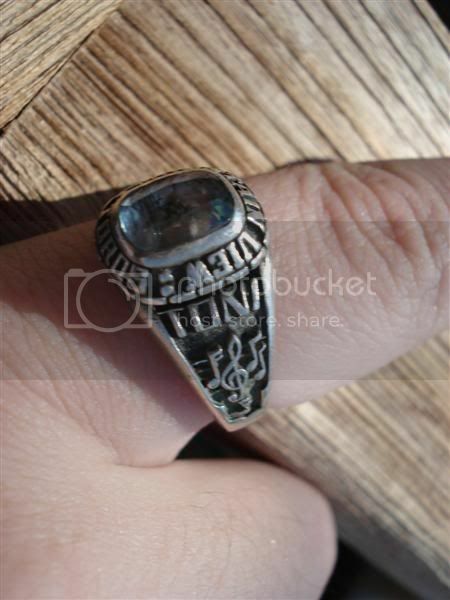 If you still have your class ring... what did you have them put on it? Does it mean something special? Mine has "2002" and a dragon on the left... and "Toni" with music notes on the right. The dragon was for the dragon names that Julie gave our little group... and the music notes were for choir. EDIT: Yes, I realize the No/Yes option is impossible... I was nooooot thinking when I made the poll. So...er... don't vote for that one unless you're a dork. I never did. Too broke. Didn't care enough. My HS was too ghetto. I just had them write "RosAngela Fontelera" on the inside because that was the way I signed my name throughout senior year. I still wear it when I'm in the mood to--you couldn't see it in my Architecture yearbook photos but I wore it for that shoot. It didn't for my Arts and Letters yearbook photos.